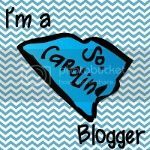 If you are an up and coming blogger (300 followers or less) and would like to be showcased in my "Budding Bloggers" series, shoot me an email. You can find my address in my left sidebar - just click on the yellow button with the envelope on it. Hi, friends! My name is Catherine Reed and I am The Brown-Bag Teacher. I am a Kentucky girl at heart. In my spare time, I love photography and have a special love for old Kentucky barns. Aren’t they beautiful?! No pets for me, but I am the proud mom of four bell-pepper plants. Mascato is the oldest and is my pride-and-joy. He has led a touch-and-go life for the last six months, but standing at 15 inches tall –he’s made it! 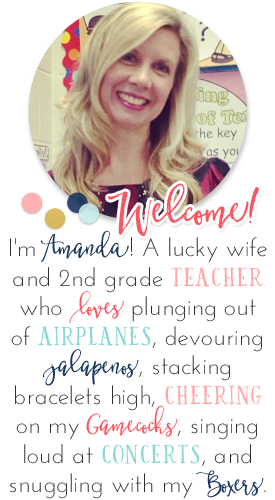 I am brand new to the world of education and am currently student teaching in 1st grade. However new, I am in love and cannot imagine spending my life doing anything else. If I could only teach one subject for the rest of my life, it would definitely be math. Although it has never been my best subject, it’s certainly my favorite. There is something really beautiful and amazing about being able to learn more from and about the world through numbers. 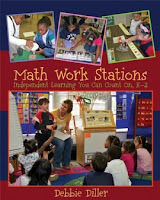 Plus, in math there is SO much room for manipulatives, centers, hands-on-learning, and lots of partner work! If you stopped by our classroom…well, right now, we are practicing for the upcoming Dinner Theatre – so you would probably hear us singing “Let it Grow” from the Lorax. :) Other than that, we spend most of our day in work stations. 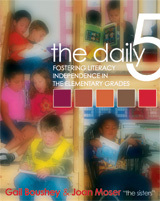 We are all about Debbie Diller’s Math Work Stations and have incorporated *the feeling* of Daily 5 for our reading block (read- we are not doing full-blown Daily 5…but I would LOVE to try with my own classroom). 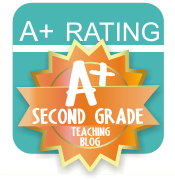 You would find me in a guided reading group or working with a specific small regroup (i.e. re-teaching). For days when there are 187 knocks on the door (we have to keep our doors locked and only the teacher is allowed to open the classroom door!!!! ), a tornado drill, picture day, and a guest visitor ALL in one day, I eat chocolate and drink Diet Coke. One teaching resource I cannot live without is honestly my cooperating teacher. When you are a small child and picture the perfect 1st grade teacher, she is it. She is kind, absolutely lovely, willing to let me make my own way within the classroom, and with 26 years in the classroom, she is always up-to-date on trends in education. She’s actually the person who introduced me to the blogging and TPT worlds! Now, for a tangible resource that everyone can access- definitely TPT! Specifically, make sure you sign-up for the 10 FREE Downloads newsletter that comes every Sunday. It is crazy and awesome how many spectacular teachers there are around the world! A close second memory is when our letter from the President arrived in February (we initially wrote letters in October and sent them to the White House). It was such an out of this world experience and after doing it once, I will make sure every class I have will write letters in the future. The pictures of the barns are beautiful and I love Humiliy by CJ Mahaney - what a great book. I did my student teaching a couple of years ago and my cooperating teacher was INVALUABLE! She was an incredible mentor - I would not be the teacher I am today without her.